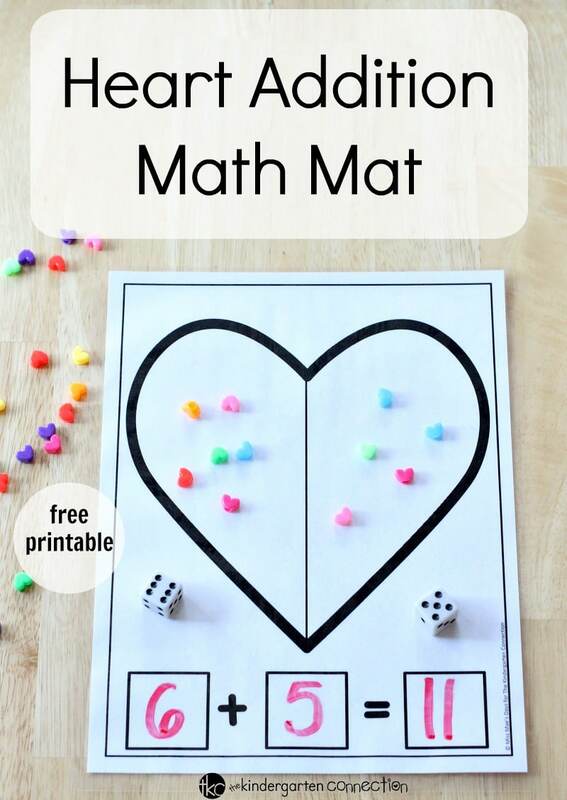 With the holiday season slowing down, as educators we like to keep the momentum and excitement going with fun filled, educational activities like this Heart Addition Math Mat! 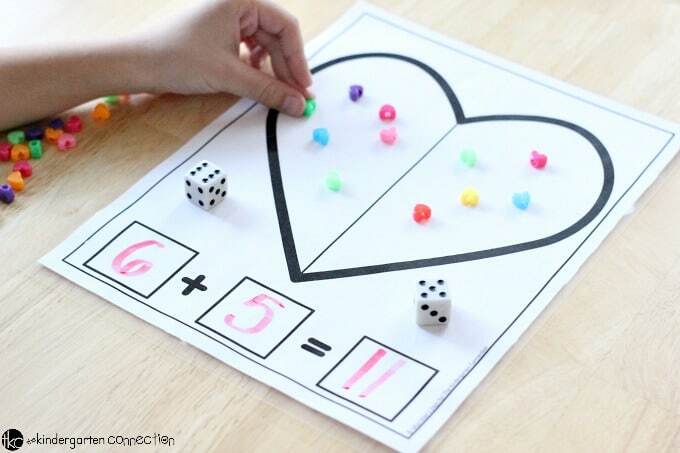 Put the fun back in February with this heart shaped math mat for addition math practice. 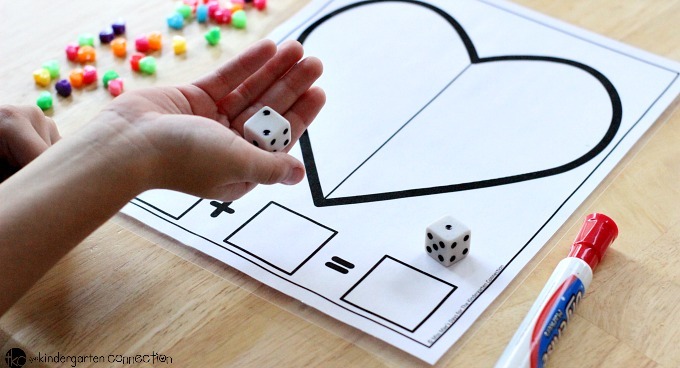 Being that Valentine’s Day is just around the corner, prepare your homes and classrooms with a variety of heart themed activities like this math mat. 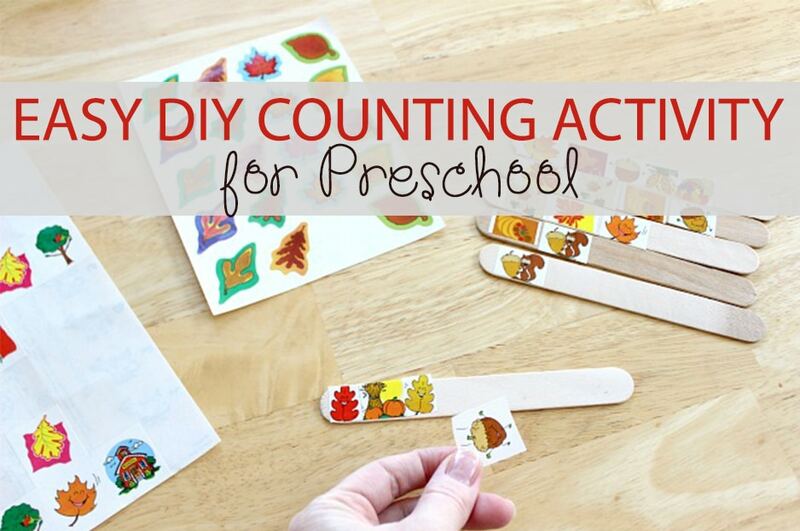 This activity is best suited for Kindergarten and 1st Grade. 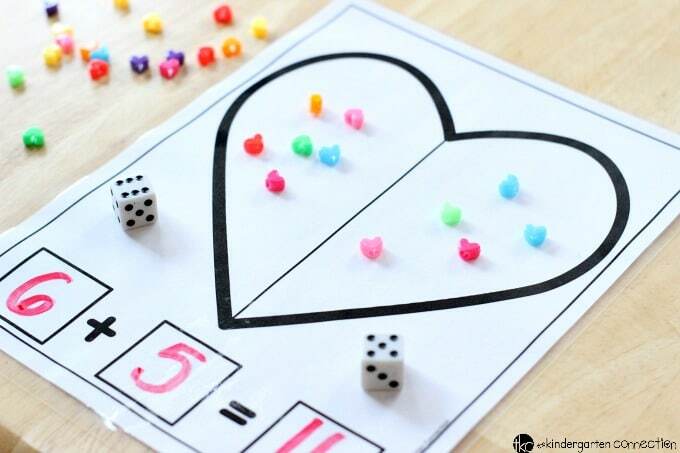 I like that the children get to practice adding 2 numbers together while seeing the visual representation in the two halves of the heart with the little plastic heart beads. My children especially like any opportunity to use the dry erase markers so be sure to laminate this worksheet for repeat use. 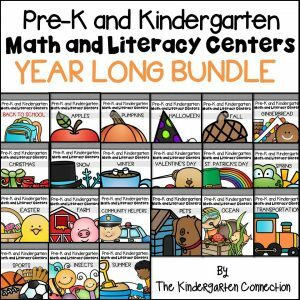 It would be perfect in your math center! I found these adorable heart shaped beads at my local Dollar Store. 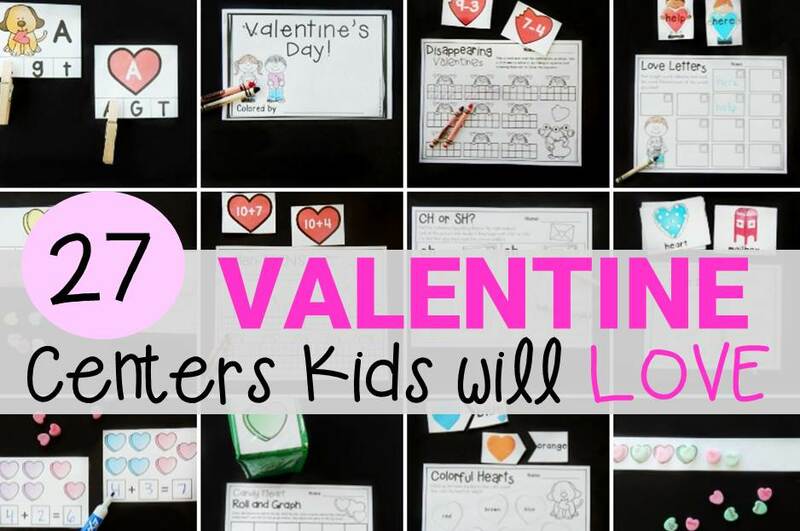 You might also try candy hearts, gummy hearts or any other heart shaped manipulative you can find! To begin, gather your materials! Start by rolling two dice. 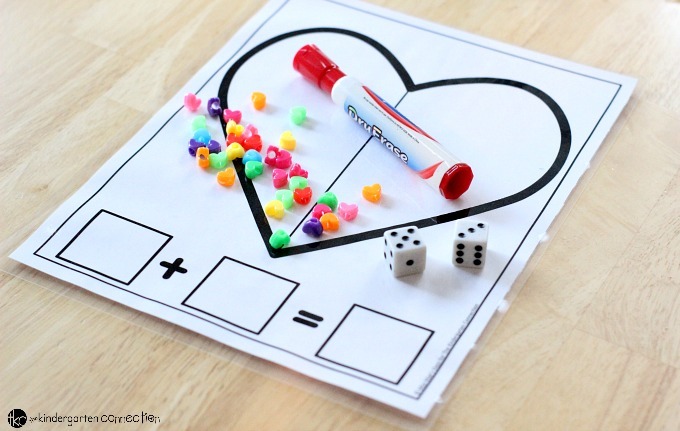 Build the equation with beads or candies. 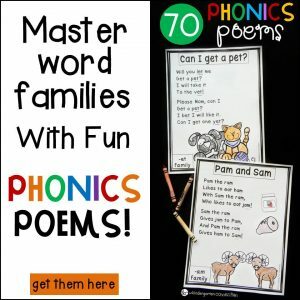 I find it so much fun to create unique ways for children to learn while also having fun. 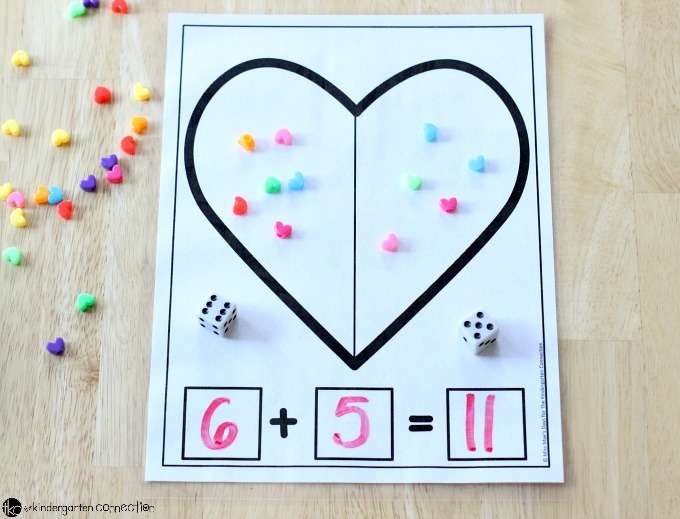 With this Heart Addition Math Mat Free printable children are counting, writing and adding. What a wonderful opportunity for learning in your homeschool or traditional classroom environment! 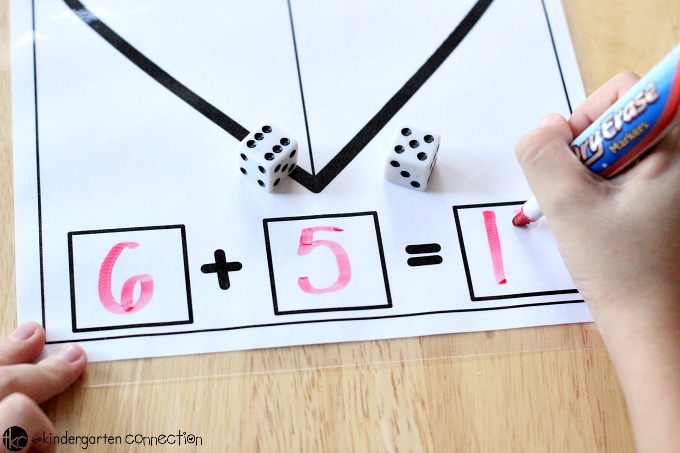 Ready to practice addition? 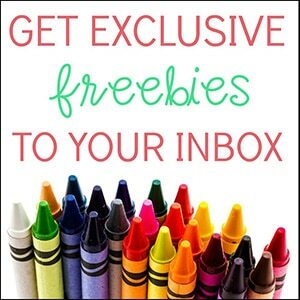 Grab this sheet for FREE by clicking the yellow button below (at the end of the post). 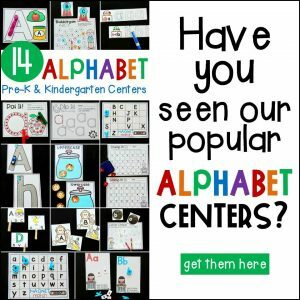 Then, have your entire February and Valentine themed activities planned for you and ready to go with our 27 print and play math and literacy centers! 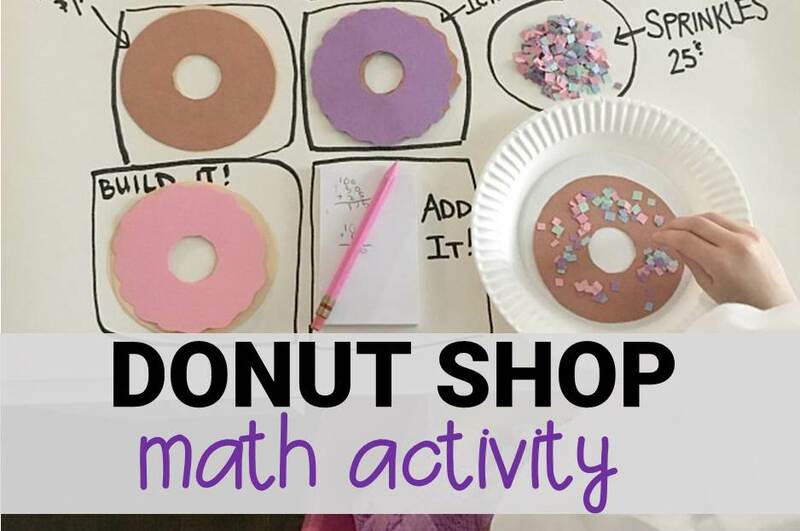 What a fun addition activity!